12752 Aston Oaks Dr, Fort Myers, FL.| MLS# 218064836 | Southwest Florida Residential Real Estate for Sale. Don't Miss this short sale investors, this is a absolutely Stunning South Fort Myers home!!!! DanForth Lakes 2 story home on a unique oversized lot. Plenty of room to build your own pool. This beautiful home offers tons of recent updates including beautiful new laminate wood flooring and new stainless steel kitchen appliances. Large living and dining area! Newer Nest a/C system and new water heater. The property has a beautiful paver driveway and large extended lanad pergola.Home sits on one of the best lots in Westchester Subdivision huge pie shaped lot with conservation area behind. The development is very well managed and maintained. 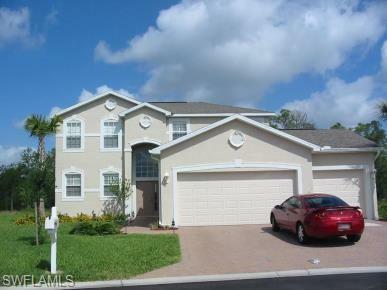 Home has newer roof and exterior paint and has a beautiful maintained community pool. Inexpensive HOA dues. Walking distance to shopping and dining- Easy access to anywhere Fort Myers, International Airport, and southwest Florida's awesome beaches!! Great opportunity to own a wonderful family home in Paradise.